Pinch me! The Yes Girls is almost 10 years old! Seriously, I was pinching myself as I answered your questions. Thousands of “yeses!” and a few gray hairs later, I am so thankful to be a part of such iconic moments in our couples’ lives. I was a 22 years old female, launching a business that primarily revolved around working with men. Was it challenging? Of course! Sometimes I wasn’t taken seriously. Was it worth it? Absolutely! I get to see men in a rare form, in a more vulnerable and endearing light. Our clients are head over heels for their soon to be fiancees, yet aren’t confident in how to bring her dream proposal to life, and we get to be there for them as they navigate new territory. So I’ll dive right into your questions. 1.What was the inspiration for starting your business? I started The Yes Girls in 2008 because there was a lack of resources for gentlemen looking to propose in creative, personalized, and thoughtful ways. 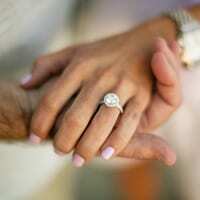 The Yes Girls is the first marriage proposal planning company. During my event planning internships I always loved asking couples about their proposal stories and I started to see a trend where the guys were so unsure on how to do it they ended up just bringing the ring out during a car ride or randomly at dinner. I realized that guys could definitely use a female’s perspective. The company really is inspired by our clients and their unique love stories as they embark on a new chapter. After planning thousands of custom proposals our team launched Box Sock – the pocket sock that hides your engagement ring box in order to solve the issue of “where should I hide my ring box so she won’t notice it?” A bulky box in their pocket was a dead giveaway, and that’s where Box Sock came from- a creative and safe place to hide our thin ring box in a pocket sock. I had just graduated college with a dream to work in the wedding industry. I had taken any internship and job I could since high school to learn about weddings and events. That said, it was May of 2008 and the job market was ROUGH! No one was hiring, especially in the event planning industry. My dad is an entrepreneur himself, and after going for a walk where I was frustrated because I wasn’t having any luck getting hired, he simply asked, “why don’t you start your own company?” That was the moment. Starting my own company was always my goal and that transpired into marriage proposal planning verses wedding planning. It was a bit of a risk and a leap of faith since no one was doing proposal planning. I got many awkward head nods (still do at times) but the excitement to pioneer uncharted waters trumped the fear of failure. 3. 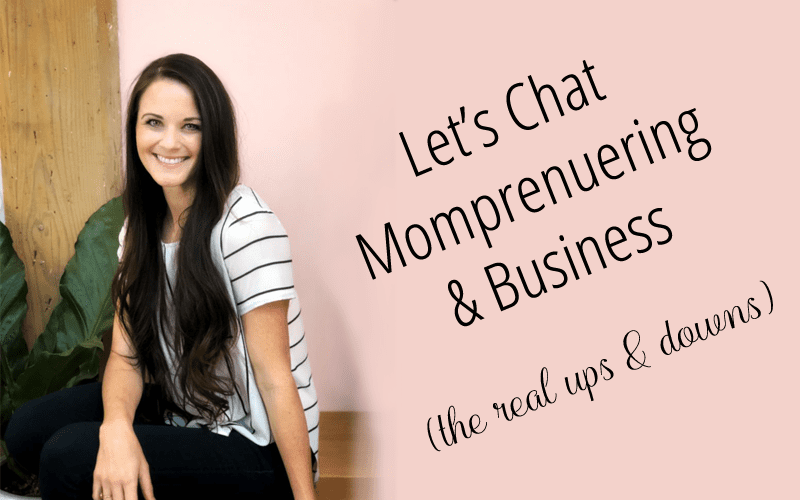 How do you have a work life and mom life balance? HA! I won’t pretend to have this dialed in. I have a 3 year old and a 1 year old (two very adorable and active boys) and some days I am in total survival mode living off caffeine. Thankfully I heard early on that this idea of “perfect balance ” really doesn’t exist. I was intrigued because I totally felt like I was failing at “balancing” marriage, being a mom, and helping my team thrive as individuals and as a company. Instead I learned it was all about prioritizing. I had to learn to say no to some things and also delegate certain aspects of the business (especially the parts I didn’t enjoy or wasn’t honestly great at) in order to prioritize what is truly important (my family and our vision for The Yes Girls). 4. What have been some of your greatest challenges and accomplishments since starting your own business? It was a challenge to create a company that was new. Not only was a young entrepreneur learning how to start a company but I was creating one in an industry that didn’t exist which meant a lot of the advertising and networking involved was just letting people know this resource was an option. We’ve planned thousands of custom proposals to date but one of my most memorable accomplishments was my very first proposal. I launched my website and a week later I booked my first proposal and I will never forget that moment – I was completely terrified and pumped! After my client’s girlfriend said “yes!” in a gorgeous winery in Napa Valley, I was totally hooked. For 8 years, The Yes Girls were strictly service based. Launching our first product was also a new challenge and accomplishment for sure. Any time I package up a Just Engaged Gift Box or a Box Sock I am giddy because I get to see something we created, help others in an iconic moment and/or period of their life. 5. What was the first year like? My first year was trying. I would have days of encouragement when those proposal moments came to fruition but I was working tirelessly (with a side job) and was charging what seemed to be pennies on the hour to essentially just make enough to put money back into the business and build a portfolio. It was hard to see the big picture at times. 6. What do you love most about The Yes Girls? It goes without saying, I love to see thoughtful and personalized events come to life, but I also love my team. I love working with a group of women that inspire one another, work alongside each other and challenge each other to be their best selves. It’s easy to turn on TV to see a group of catty women putting each other down, or to scroll through social media and not feel like we are “keeping up”. Let’s be real, the world doesn’t need more females criticizing each other. How refreshing it is to have a female team that thrives and bands together even during hardships and challenges. My team is crazy talented and I want them to know it. I say “YES!” to more of that! 7. What keeps you going or inspires you? I find inspiration in different life stages. Since becoming a mom, my little boys inspire me. I think it goes without saying you want to be someone your kiddos (and husband) are proud of but I am also inspired to raise kind, loving, brave, and thoughtful gentlemen after working with our clients. Some clients were this definition. Others were far from it (I’m just being real). I’m also inspired by other boss babes! I love listening to or reading from ladies like Jenna Kutcher and Jen Hatmaker. I have a “Praise Folder” that I skim through on the down days (which was a tip from Jenna!). I’m inspired by Jesus; to me He is the epitome of love and a place for everyone to belong, and love is what The Yes Girls is founded in. 8. How do you deal with the haters or negative feedback? I sleep on it. The best way for me to respond kindly and effectively verses emotionally was to step away; I sleep on it to see the big picture. It took a few emotional beatings (at least that’s how it felt!) to realize when dealing with clients, vendors, and people in general, when someone spouts off a rude response, it’s usually a reflection of their own underlying insecurity, stress, or inner battle. That helps give me perspective. After years of managing various conflicts or dealing with “haters”, I choose not to hop aboard the crazy, emotional rollercoaster ride. Being negative back just keeps us going in circles. I prefer to stay on the platform where kindness live. I’m far from perfect but I’ll never regret being kind. 9. How do you deal with people trying to copy your business? 10. What’s your biggest advice for aspiring entrepreneurs? In my personal opinion, if you don’t believe in what you are doing and that it will help others then it’s going to be a draining venture. I was passionate about launching proposal planning and I truly believe passion is the heart of any inspiring business. The Yes Girls Proposal Planners | Seen On ABC 7 News What Goes Into Planning a Proposal?